Stephanie is currently researching how management and landscape attributes influence the reptile and frog assemblage in grazed box gum grassy woodlands. 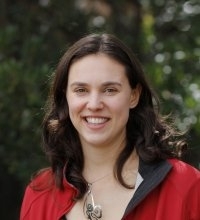 She is interested in how to improve biodiversity outcomes in human modified landscapes such as agricultural areas. Stephanie is a keen field ecologist and enjoys getting out in the landscapes she studies.